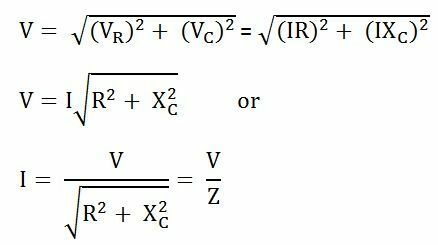 The vector sum of the two voltage drops is equal to the applied voltage V (r.m.s value). 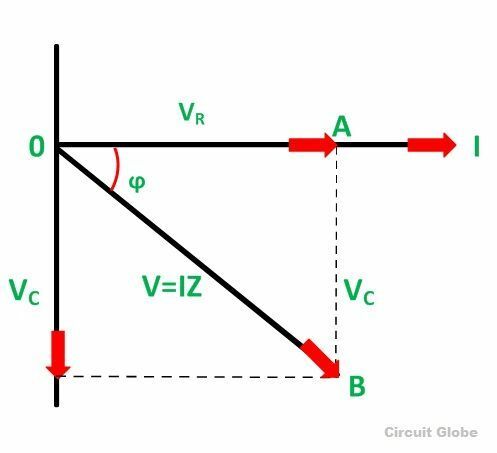 Z is the total opposition offered to the flow of alternating current by an RC Series circuit and is called impedance of the circuit. It is measured in ohms (Ω). From the phasor diagram shown above it is clear that the current in the circuit leads the applied voltage by an angle ϕ and this angle is called the phase angle. 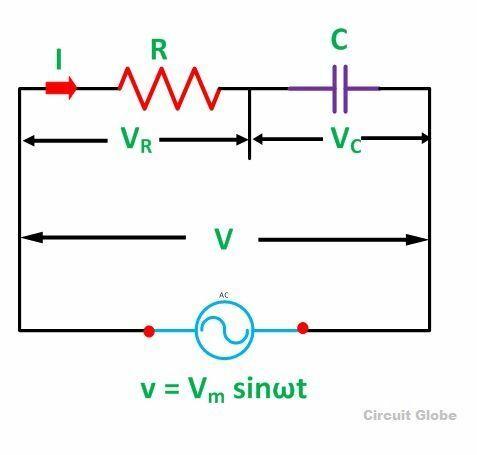 Where, cosϕ is called the power factor of the circuit. 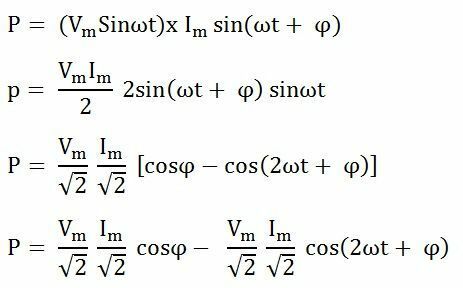 From the equation (4) it is clear that the power is actually consumed by the resistance only and the capacitor does not consumes any power in the circuit. 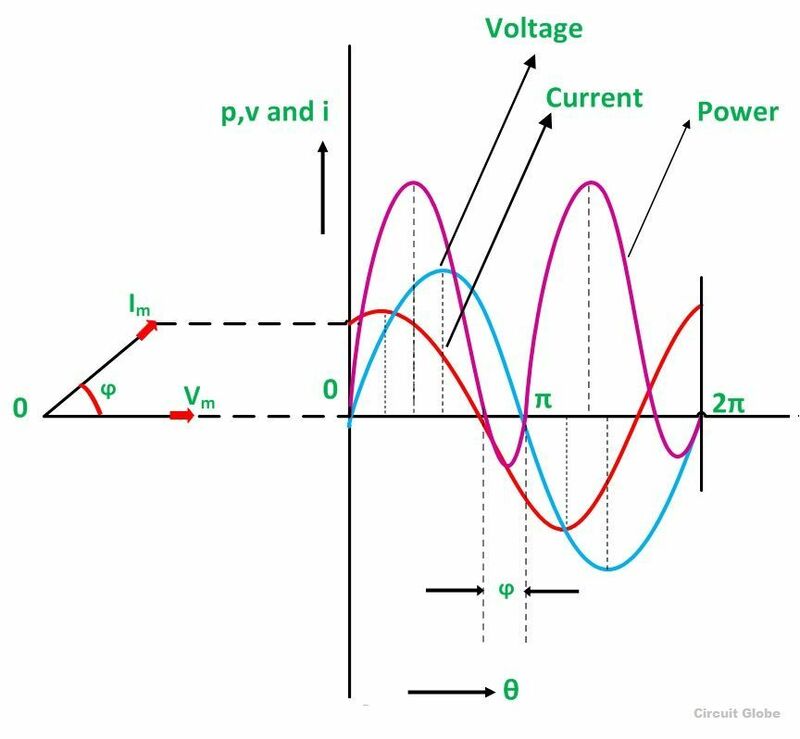 The various points on the power curve is obtained from the product of the instantaneous value of voltage and current. The power is negative between the angle (180◦ – ϕ) and 180◦ and between (360◦ -ϕ) and 360◦ and in the rest of the cycle the power is positive. Since the area under the positive loops is greater than that under the negative loops, therefore the net power over a complete cycle is positive. Thank you very much for this great website…. . ……..
On a desktop you will find the search option on the right hand side. if you open a site on a mobile device, you need to scroll a bit further ‘below the content’ to find the search box.